Jean Hammond Thompson age 75, went to be with the Lord on Sunday May 3, 2015. She was preceded in death by her husband Bobby Lee Thompson. 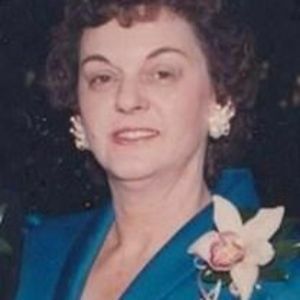 She is survived by her sons, Robert Bryan Thompson, Gregory Scott Thompson and wife Kelley Ann, grandchildren; Hanna and Will Thompson; brother, John Arlen Hammond Sr. and brother-in-law, Joseph Thompson and sister-in-law, Jean Greene. Visitation will be Wednesday May 6, 2015 from 5:00 – 7:30 PM at Johnson Funeral Home. Graveside services will be held 11:00 AM on Thursday May 7, 2015 at Pineview Cemetery Rocky Mount with Jean Thompson’s 1st cousin Rev. Jimmy Cone officiating.